Way back in 1961, VOX rolled out the AC4 amplifier. This up-to-date Class A version retains the distinctive EL84 power tube and features a 12AX7 powered preamp, all driving a custom-made Celestion 10" speaker. 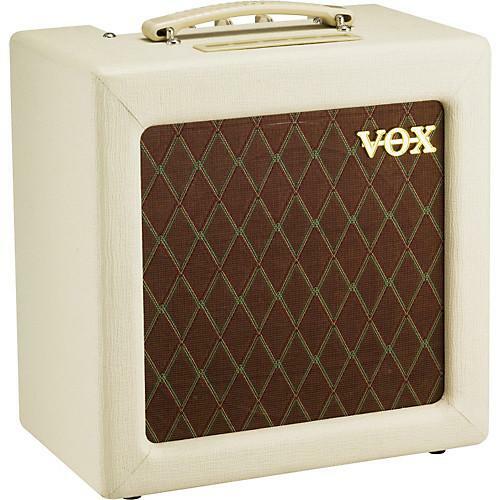 The sophisticated sound is unmistakably VOX, delivering that distinctively British top-end tone. The AC4TV features a built-in power attenuator, with 4 Watt, 1 Watt and 1/4 Watt output levels - ensuring you never lose that classic tube tone, even at the lowest listening levels. The AC4TV also has a handy 16 Ohm speaker output, allowing you to add an additional cabinet and state your sonic signature with authority.